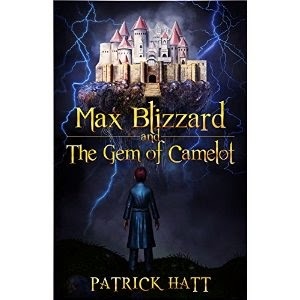 "Max Blizzard and the Gem of Camelot," by Patrick Hatt, is a fantasy novel about a character who is transported into Camelot's realm with the power of his imagination. The protagonist, Max Blizzard, must set out with his friends to find the Gem of Camelot to stop the evil Sir Dreadvent. The story is filled with adventure and imaginative creatures and settings. Hatt does an excellent job of creating a fantastical world that draws you in as Max and his friends pursue their goal. I really enjoyed reading about some of the famous mythical characters I'm familiar with (Hercules, King Arthur, etc) -- Hatt truly brings them to life in this tale. I'd recommend "Max Blizzard and the Gem of Camelot" to anyone who wants a whimsical fantasy book to read.